Is Outdated Technology Affecting How Your Calls Are Handled? 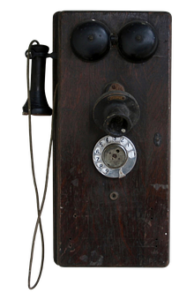 19 Mar Is Outdated Technology Affecting How Your Calls Are Handled? Business decision-makers report that ease and speed of interactions with their suppliers is their number one complaint, twice as often as price. This is certainly true when it comes to businesses that hire answering services or virtual receptionists to enhance communications and improve customer care. Up-to-date technology and adequate internet coverage are crucial, otherwise, customers may experience slower response times, delays in conversations, dropped calls, and long hold times. Do you have sufficient phone lines and staffing? Remote virtual receptionists at answering services manage various communication streams, utilizing call software, project management tools, email systems, and more to be able to handle the volume of inquiries without lagging. Your virtual call center will have invested in an up-to-date private telephone network system and have the proper bandwidth to handle a large call volume. It will also be staffed 24/7, 365 days a year so that holidays, weekends, and after business hours are always covered. Plus, the virtual receptionists at an answering service are equipped with backups for phone lines and technology in case of power outages or disasters. If a virtual receptionist works from home or even a small office they likely don’t have the technology to answer multiple calls or to rely on backup systems in case of a power outage. Entrusting critical information to an aging system or an insecure application can cause compliance issues. Infrastructure with unified channels, tools, and interfaces reduces hassles and headaches, allowing your virtual receptionist to provide encrypted secure messaging and web portal for easy client interaction. More than 75% of people expect a customer service representative to have visibility into previous interactions and purchases, and half say lacking relevant context and lack of knowledge is a frustrating aspect of dealing with customer service. Therefore, how well your virtual receptionist is able to integrate with your CRM system will make a difference in how well he or she can adequately serve as an extension of your company. Not only should your virtual receptionist have the technology to answer and record multiple calls, securely and with backup data, he or she should be trained for any requirements relating to your business. For example, virtual receptionists must be trained to be HIPAA-compliant if your business is in the healthcare industry, with securely encrypted technology to protect patient health information. The key takeaway is that it’s vital to make sure the answering service or virtual receptionist you choose has the most up-to-date technology and communications systems in place to ensure that it’s easy and quick for both you and your customers to interact with them. Advanced telecommunication technology and customized call answering solutions have earned the virtual receptionists at Voice Link of Columbus, Inc. an 82% referral rate. We save our clients time and money while increasing customer loyalty. Voice Link offers month-to-month service agreements to meet your unique needs, with no hidden fees. Our excellent reputation, expert staff, and state-of-the-art technology will exceed your expectations. Request information online or call us at (800) 262-2799 for a free consultation.